Famille Esteve Très Vieux Cognac de la Propriété means "very old cognac of the house". 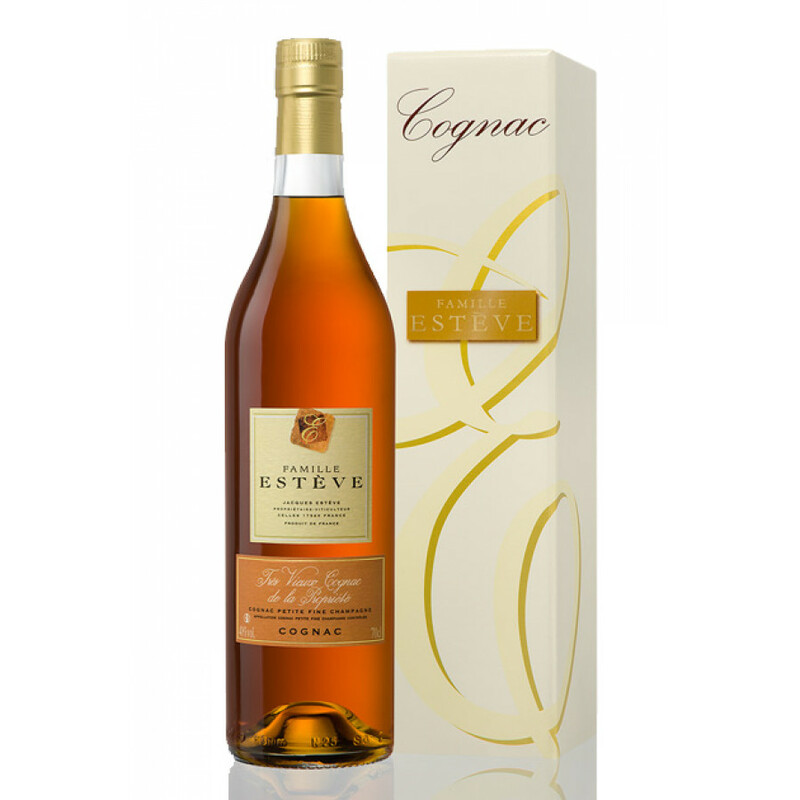 This cognac is a pure Petite Champagne cognac, and as you can see from the list below, has won many awards. This is a super old cognac, with the eaux-de-vie used to create it being aged for around 50 years. As you'd expect this has led to a cognac with elegance combined with the complexity. On the nose you enjoy delicate rose and iris aromas, which then give way to a bouquet of exotic fruits (lychee, mango) and with notes of leather and creme brulee. The silky and full taste on the palate reveals exquisite spices and woody tones. The finish is long, with notes of dark chocolate and candied orange. A great cognac to enjoy with a cigar such as the Crona Davidoff.